With more than 50 years’ involvement in the game, Ron Barassi boasts a career that spanned more than 250 games as a player with Melbourne and Carlton, as well as coaching stints with the Blues, Demons, North Melbourne and Sydney. 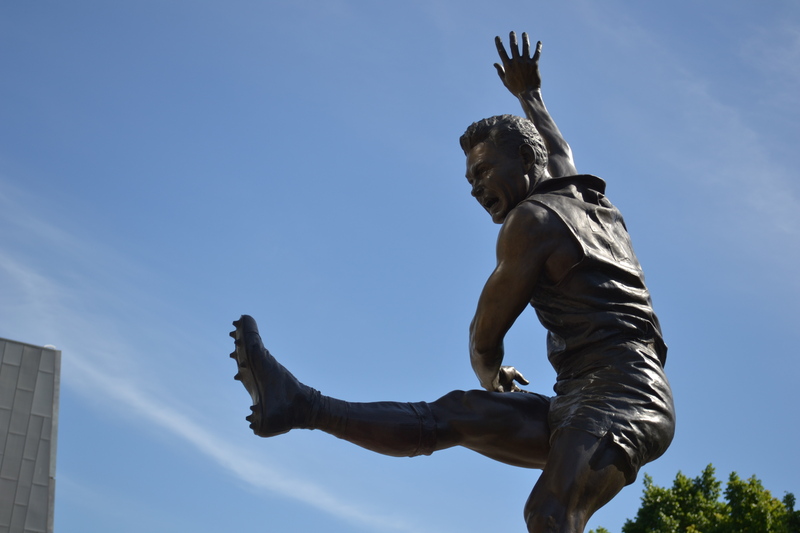 Barassi, whose father Ron Sr had played 54 games for Melbourne before dying in World War II, began his career in 1953 and went on to play 204 games for the Demons, including six premierships. But after captaining the club from 1960-64, Barassi shocked the football world in 1965 when he transferred to Carlton to captain/coach the club for a fee of £5000 ($10,000) over three years. Barassi played 50 games for the Blues in five seasons, including the 1968 premiership, and after retiring stayed on at Princes Park as coach until the end of 1971, delivering another premiership in 1970 when the team came from 44 points down at half-time to shock Collingwood. After a playing stint with Port Melbourne in the VFA in 1972, Barassi was lured back to the VFL as coach of North Melbourne in 1973, and took the Kangaroos from last in ‘72 to five successive Grand Finals from 1974-78, with the club winning its first two premierships in 1975 and ‘77. Barassi also coached his former club Melbourne for five years from 1981, before his final stint as a coach began in 1993 - following several years in the media and in private business - with the team going from one win in his first year to the Grand Final in 1996, the year after he had left, having laid the foundations for success.